A country whose long history has always been illuminated by the sun. The oldest tracks of humanity in the Lisbon region can be traced back to the early stone age and prehistoric times. The mild climate, the proximity to the river and the richness in biota most probably contributed to the settling of the primitives at that location. Philistines, Merchants from Carthage and Greece occupied this territory until the arrival of the Romans in about 205 AD. This time was blessed with stability and development. 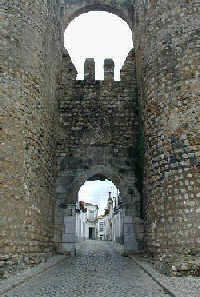 The Roman town that Julius Caesar named Felicitas Julia, was a primary attack target by Gothics, Slavonians and Visigoths before the arrival of the islamic troops around 711 AD.The Portuguese explorations started in the 15th century and brought a lot of new cultural and scientific aspects and an enrichment in economy and trading back to Europe. On the other hand, language and knowledge were "exported" to the most remote locations of the world (China, Southern America, Africa, ...). 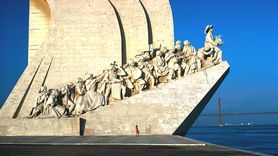 Portugal`s very first steps as a nation (the Portuguese nationality was founded in 1143) are evoked by its countless Romanesque churches, mediaeval castles and walled towns. But the first examples of an exclusively Portuguese architecture were to come later. In the fifteenth and sixteenth centuries, the Manueline style, an elaborate form of late Gothic architecture, was to appear in all its impressive grandeur. The art of the decorative glazed tile or azulejo mainly began to develop from the seventeenth century onwards, and these tiles are now a constant feature of our churches, palaces and urban buildings. In the morning of November 1st, 1755 a massive earthquake destroyed the whole of the Lisbon region. It was the biggest earthquake that ever shook a European city. In total about 10,000 buildings were destroyed and between 12,000 and 15,000 people found death in Lisbon. In the year of 1910 Portugal became a republic. After that, the country was ruled by the military forces. This 40year-long salazar-dictatorship was quit by the peaceful pink-revolution in 1974. This was the call to democracy. Portugal has been part of the European Union since 1986. The entry of Portugal into the EU helped and still helps to stimulate the economy in the Alentejo, but still, only 12% of the income of Portugal are earned in this poorly populated region. This page shows basic information. There is no guarantee for the correctness and completeness of the given facts. The page is regularly updated.